Today I will take one step at a time. Sometimes I may zig, sometimes I may zag. But it will always be more interesting than a straight path. About the photo: Taken under one of the larger Canneries in Southeast Alaska. I was captivated by the reflection more than anything else. 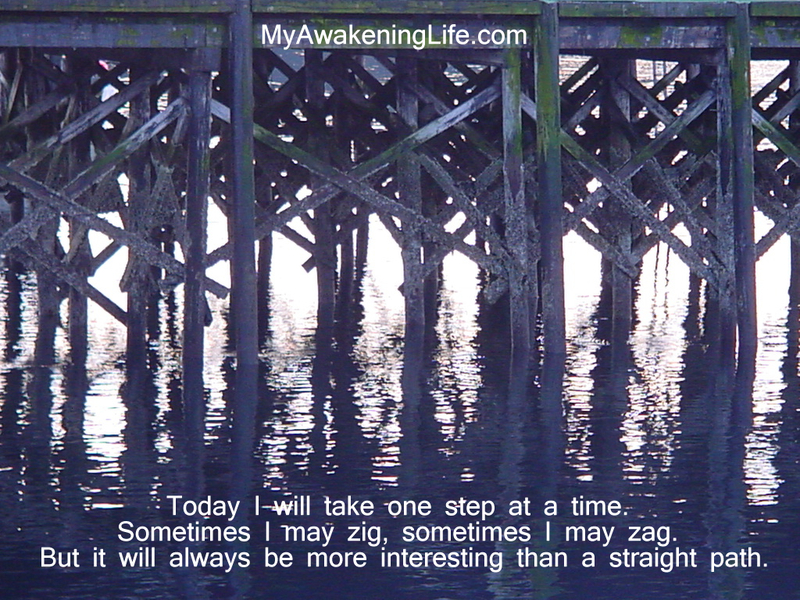 Life is a zigzag but it also has ripples and illusions. That’s what makes the journey interesting. While you are visiting my blog, stop over and check out My Tree of Life Pendants. Excellent response to the challenge, Grace!